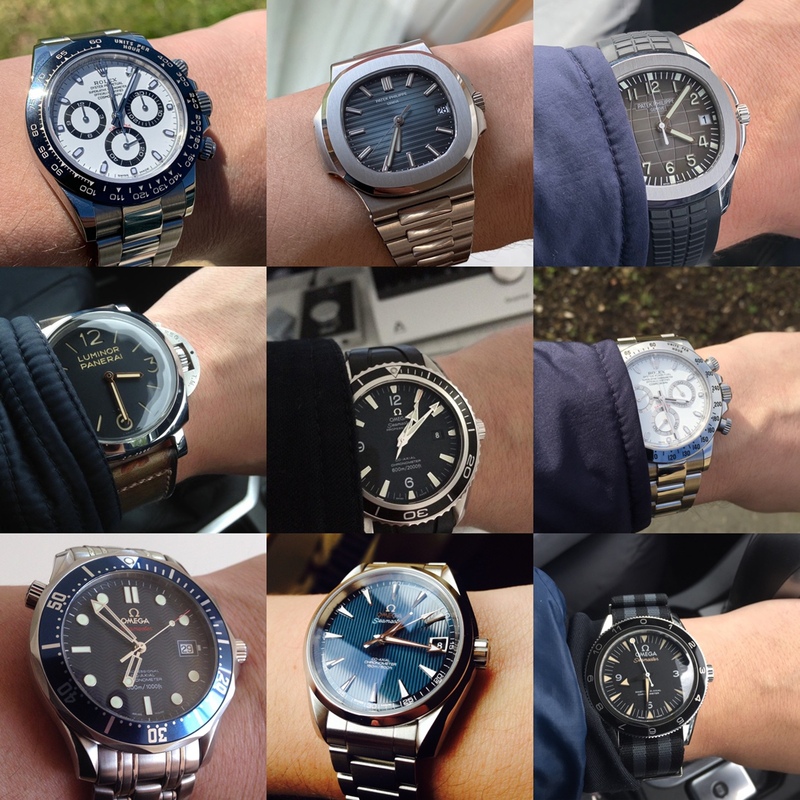 I thought it fun to post a collage of watches that have passed through my collection over time. Maybe others record theirs and would like to share? Sadly this is not all that have been with me but it does cover the majority. No prizes in identifying them all - but have a go. Some overlap and no particular time order. Last edited by MartynJC (UK); 15th April 2019 at 18:38. 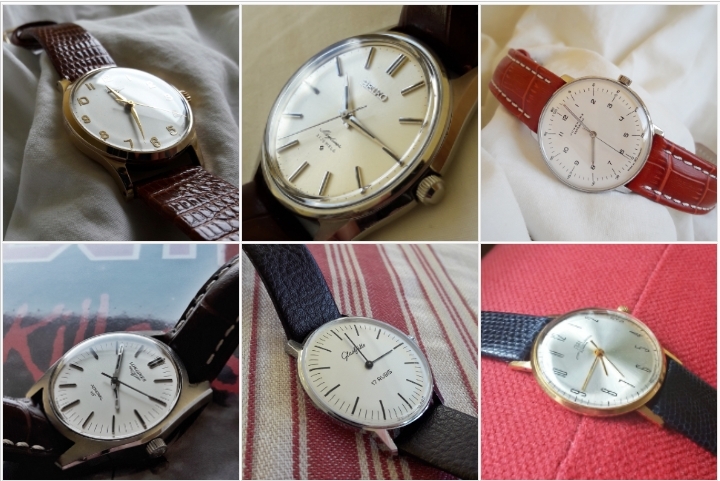 Some stunning watches you have owned there - but which one hurts the most, the biggest regret.. Some great watches tried out above! 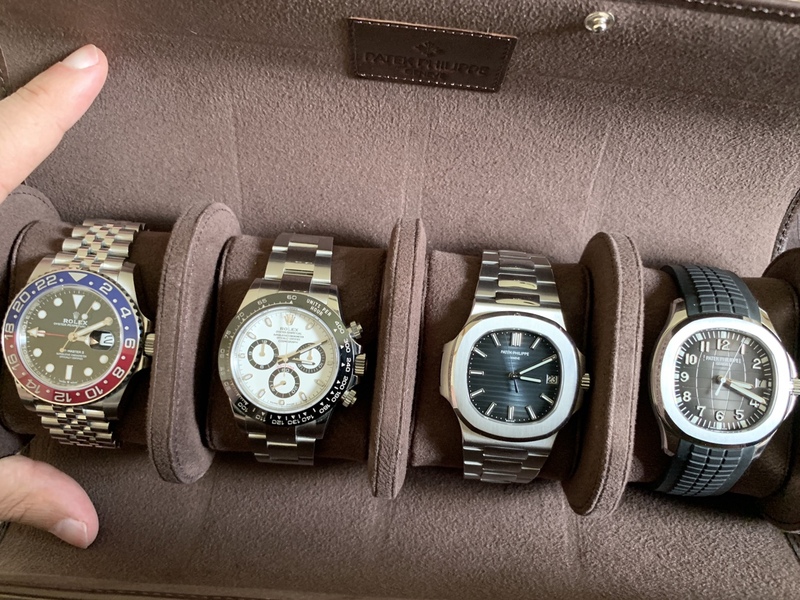 If I could add a few Omega and a couple of Tudor watches, plus my one GO, I think I could be very very happy with that selection for the long haul! OP I think your Air King Date is my favourite and which you have mentioned before. I think this one deserves more photos. The Pepsi was initially just to keep me going until I manage to upgrade the 5167 to a 5164, however that’s looking unlikely and the Pepsi has barely left my wrist - love it so far. I think I will get a Rolex diver and leave it at that. The ones I fancy are the ones I’ve all had before - 114060, Hulk or DSSD. Head says Hulk but Heart says DSSD (Love the Hulk but when I had it I seldom wore it and dont know why. Think a few people find this). Maybe I will try the James Cameron Deepsea! Last edited by kultschar; 15th April 2019 at 22:10. Regrets? I’ve had a few..... but then again, too few to mention. Interesting - I’m finding my Hulk getting most wear at the moment although this probably has much to do with it being a fairly recent acquisition. Just got my hands on a CHNR Root Beer which will challenge that although for me, the Hulk is much more casual and easier to wear. Weirdly one of the best pictures of your old watches above is the Aqua Terra. Shake it's gone, although with the currently selection I can see why you don't have it anymore. I would definitely try the D-Blue, especially the current version with the better proportioned bracelet. The Skyfall Aqua Terra is very nice but man it is so damn thick for what it is. Apart from that gripe - this is another classic example of how Omega have messed around with their designs just for the sake of it and made things worse rather then a nice tweak. If I remember rightly at the time I replaced it with the Explorer which wore much nicer on my wrist. Yes I think I will hunt for a D-Blue 126660 for when I pop back over in August, hopefully one pops up on SC in the meantime - intrigued by the new bracelet design as can't really tell much in pics. Last edited by kultschar; 18th April 2019 at 12:19. Mine are here. It hurts too much to look. I actually thought there might be more ! The Skyfall Aqua Terra is very nice but man it is so damn thick for what it is. I don't find that at all with mine, but my other regular wear watch is an SD43 so that may go someway to explain it. 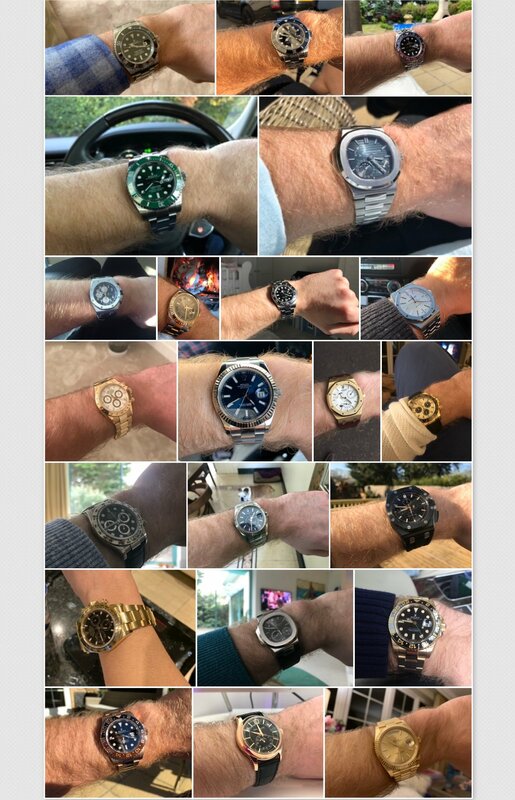 take a screenshot on my phone and post - I have a smugmug album which I try to keep a mug shot of my watches as they pass through the collection. This is my passing through from around 2011 to today. 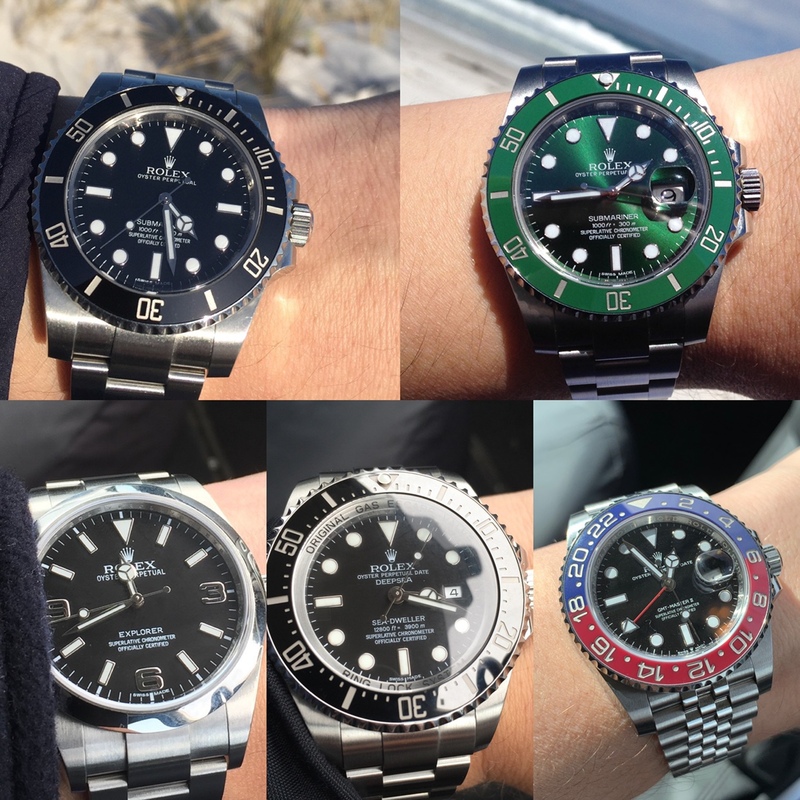 5 x Rolex GMT Master II (2 x Steel - LN & BLRO, 1 x TT not pictured, 1 x YG and 1 x RG)! Rolex Submariner Date Green (116610LV) and Patek Philippe 5712G. Last edited by Justdate; 22nd April 2019 at 13:42. That 5712G variant never did anything for me at all - so pale! So what's left today in the collection?? Gosh. It is interesting to see how much change there can be in a collection. My buying is more of a one way function. Thanks, it was quite a journey! Yes the 5712G is a tricky dial to read but can look amazing in the right light though. I have kept my highlights including the Rolex YG Day-Date 40 and Rolex YG Daytona black dial for my wife. I also have a few of the Steel Rolex which are always great watches. I sold the Nautilus 5712/1A to a friend at retail as he wanted it SO much and I could not really justify keeping it due to a big house purchase. But he sends me photos all the time so I still get to enjoy it, such an amazing watch. The Offshore AP no longer are to my taste and so they are gone. I have chilled out a bit now, and so taking my time in choosing anything new to add. I would also love another Patek dress watch... but all in good time.